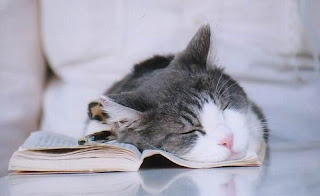 I rarely read new books. Two or three a year might make the cut if they sound too good to miss (please keep writing, Marilynne Robinson), but the vast majority of my diet is drawn from the books of the dead. 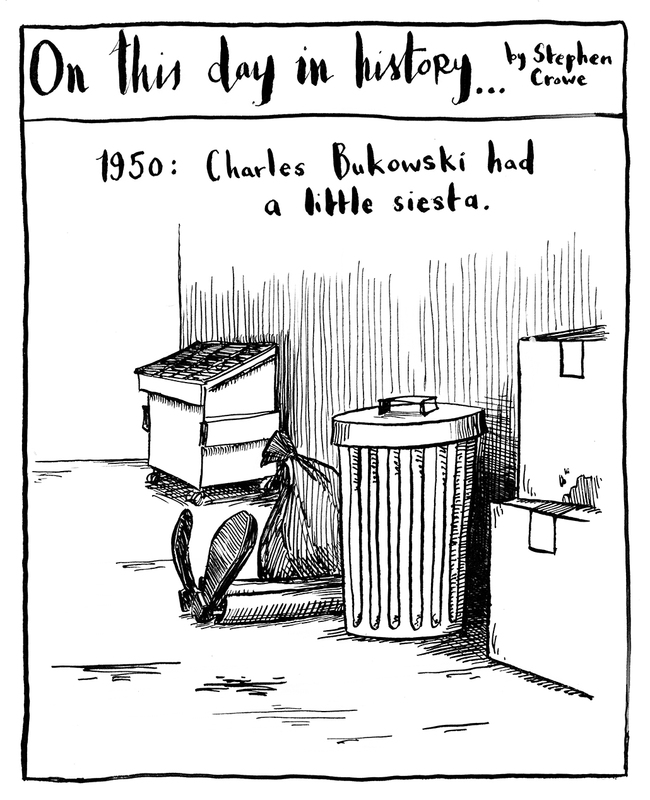 In part there is a simple reason for this, rooted in my unusually high capacity for both pickiness and laziness. 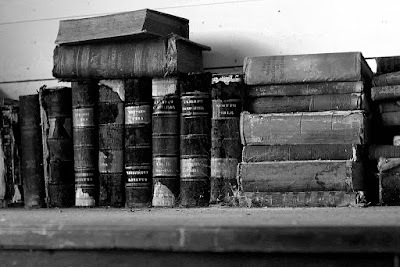 Most of the worst old books have been weeded out by the passage of time, leaving a well-tended garden of excellent reading. New books, on the other hand, can be a thankless slog through mediocrity. I'll never get back the time I spent reading White Teeth. And all that Ian McEwan! It was like the literary equivalent of white noise. But there's another reason I love old books that extends even to the ones that aren't that good. Novelistic clichés can be found in any era, but it's the ones from the present time that bother me the most: upper-middle class academics having affairs; young people making pop-culture references, anything described as 'off-beat'... 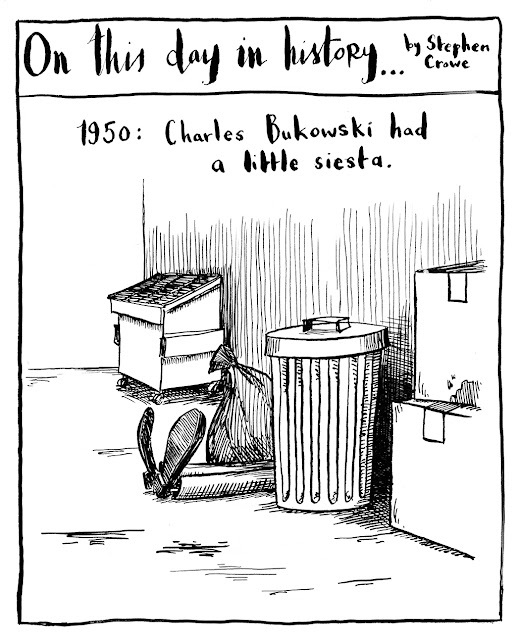 I once began a book in which the protagonist was an artist living in New York with a sister who was a writer in London. I threw it against the wall after three pages. But by a magical process similar to the beneficent aging of wine and cheese, the same kind of offhand, thoughtless writing in an old book is transformed into fascinating cultural detail. Here is a real, sincerely-delivered line of dialogue from John Buchan's The Three Hostages (1924): "He's a first-class sportsman and said to be the best shot in England after His Majesty." What a great line. If that book had been written today, I'd have to say the author was a satirical genius. It's like reading an adventure story written by Bertie Wooster. There's a short story by Jorge Borges called "Pierre Menard, Author of the Quixote," in which the narrator reviews an entirely faithful recreation, by a contemporary French writer, of Cervantes' Don Quixote. "Cervantes’ text and Menard’s are verbally identical," writes the critic, "but the second is almost infinitely richer." It's a conceit that plays on the fact that any book is enriched in complexity and subtlety merely by the passage of time. Reading old books, we all become Pierre Menards, recreating them in the light of our own times. Even the best historical fiction can only emulate the way people thought in another time and place; only actual historical books can offer the real thing. What often stand out are outdated prejudices. Jules Verne's Around the World in Eighty Days (1889) portrays a world in which all English people are emotionless robots and no American bats an eye at dueling on a moving train. Comparing H. Rider Haggard's King Solomon's Mines (1885) with John Buchan's 1910 African-adventure novel Prester John (which reads like a colonial Mein Kampf) is to witness the invention of the racist logic of Apartheid before your eyes. But you can gain insights, too, that are difficult to find anywhere else. In Cause for Alarm (1937) and his other pre-war thrillers, Eric Ambler dramatized his anxiety about the spread of fascism. The Weimar-era stories of Christopher Isherwood mention very little about fascism, but they offer a window on a society that was all too short-lived. So go buy an old book! They're cheaper, too. 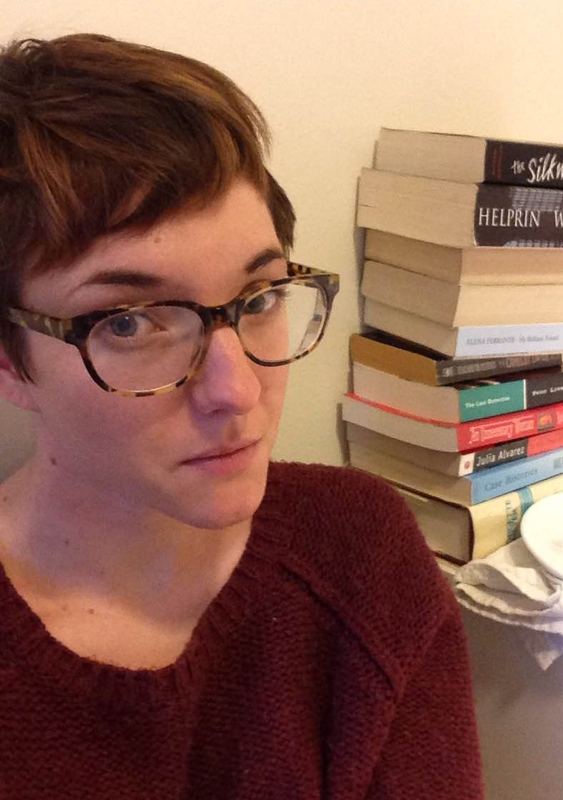 It was probably always Christina's fate to wear big glasses and work with books. How long have you worked at Third Place? Less than six months. Before that I worked in speciality coffee for several years. Most underrated/ book in your section? I am always very happy when people take home a copy of An Indigenous Peoples' History of the United States by Roxanne Dunbar-Ortiz! What's your favorite section in the store? Probably history. There is always, always something to learn, and I think the more familiar one can be with history, the greater perspective and compassion one can gain. 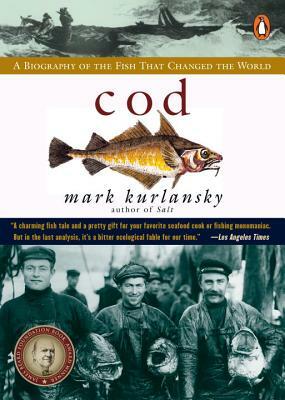 Also, history has Mark Kurlansky and that guy loves cod enough to make it interesting, which is pretty miraculous (see his 1997 book, Cod: A Biography). I think about Kurlansky's cod monomania and the paths his wonkish interest took him down almost as often as I think about how Joanna Newsom and Andy Samberg are married. What book do you recommend most? Right now I'm recommending my November staff pick, Sofia Samatar's A Stranger in Olondria from Small Beer Press. 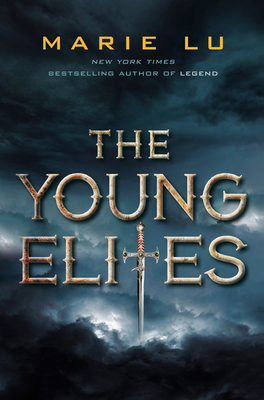 I'll quote from my review: "Samatar is an incredible writer and [her novel's] plot of a naive young man drawn into matters over his head will speak to anyone whose travels have made them both sick with excitement and the longing to go home. " Favorite bookstore, besides Third Place? 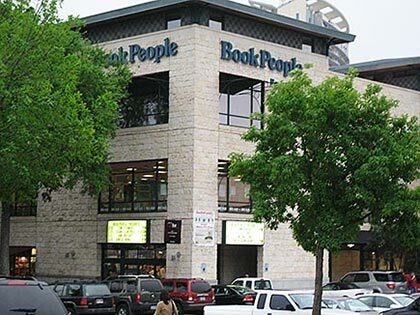 My favorite bookstore will always be Book People in Austin, TX. I pretty much grew up there! My summers as a kid were often spent there, dropped off at my request with lunch money and quarters for the pay phone. My family were late adopters of cellphones so that line about pay phones probably makes me sound older than I am. What are you reading now? Right now I am reading Eichmann in Jerusalem, by Hannah Arendt and also a Georgette Heyer omnibus. I suspect I am not alone in wanting to leaven heavy reading with something light. Do you have to finish a book once you've started, or do you give up on books? Uh, I give up on books all the time. I try to give every book a fair chance but sometimes the book is awful or you just aren't in the right mood. 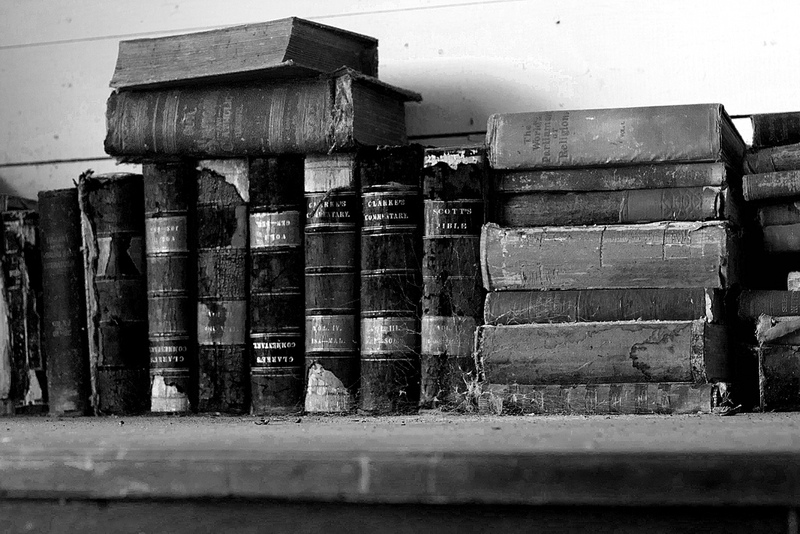 Also, the grim satisfaction to be found in discarding a book that's driving you up a wall is not to be missed. My grandmother and mother both claim that Gravity's Rainbow is the only book they've ever (independently within their own histories as readers) thrown across the room. I didn't throw it. I set it down very firmly. 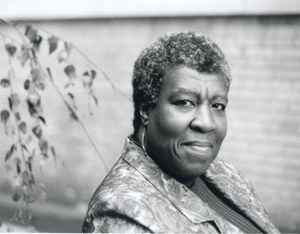 Octavia Butler sooner! 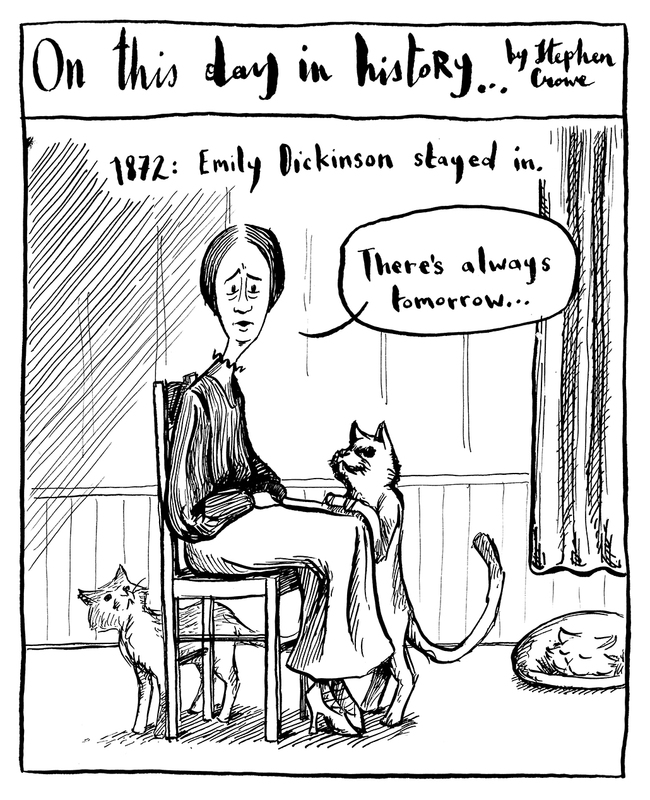 Everyone should read Butler as soon as possible. Do you have an all-time favorite book? What is it? I'll say instead that a book I wish I'd written is The Ill-Made Mute, by Cecilia Dart-Thornton. Guilty reading pleasure? I am firmly in the camp of "there is no such thing as guilty reading". If we feel guilty about reading something--romance novels, erotica, thrillers, whatever--it is probably because there is a problematic social stigma against it that has nothing to do with the work's content or value, and everything to do with narratives about whose words are important or what subjects are "legitimate". Do you keep books? Borrow them? Lend them? Borrow and lend! 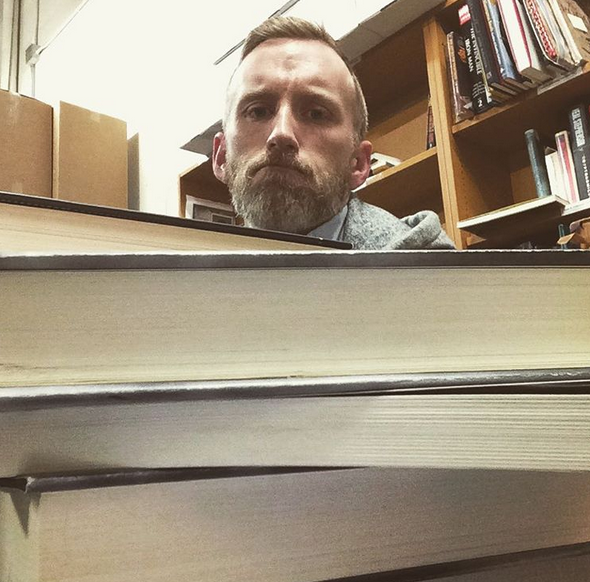 I love that a thing my coworkers do at Third Place is buy multiple copies of their favorite books expressly for the purpose of loaning them out with no expectation of getting them back. That's awfully cute. A book you loved that you wouldn't have read if someone hadn't recommend it to you, who recommended it? 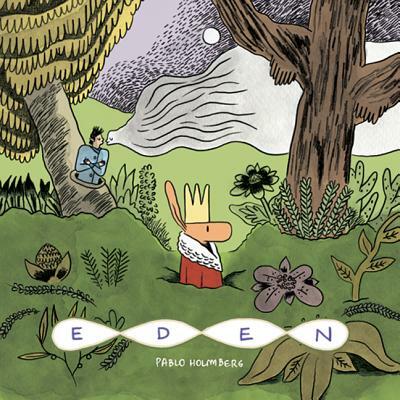 Eden, a graphic novel/comic by the Argentinean artist Pablo Holmberg. My partner recommended it to me! Favorite movie version of a book, or a movie that most ruined a book? The news that a favorite book is being adapted into a movie usually causes either wild panic or a headache. 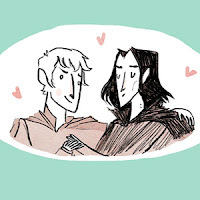 Like, the Golden Compass adaptation was cringeworthy. But the BBC miniseries adaptation of Jonathan Strange and Mr Norrell is amazing. I was so scared it would be bad, but it's not! 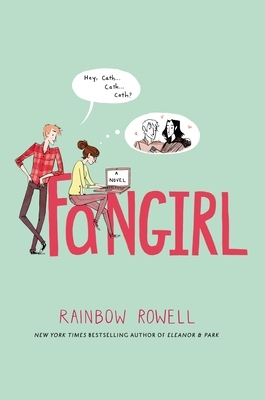 In which I review a book everyone else read five years ago. I have never been known for my ability to keep abreast of all things pop culture-y. I still have my VCR. Which you might think is silly, but I get the cheapest movies at Value Village. Cheaper than Blockbuster even. This inability to keep up (with the Kardashians) extends to my reading life. I spend a lot of time reading books published outside the current decade, so when I do read a "new book" most everyone else has already read it... five years ago. But since I'm in charge of the blog, I can post whatever review I want, no matter how irrelevant it is. So here you go. This book is guaranteed to make you feel better about yourself. 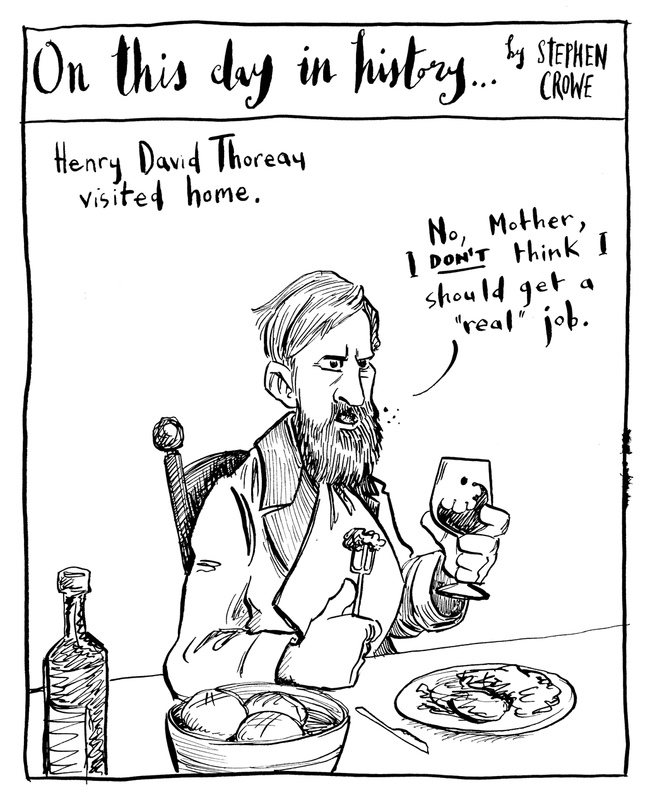 Almost every other essay, I found myself saying, "well, at least I've never done that." 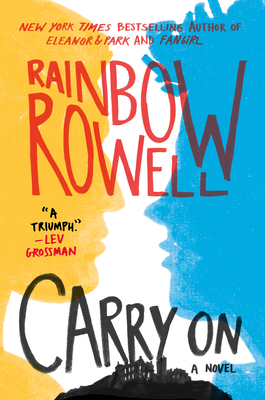 Crosley pulls no punches in relating the miseries and embarrassments of her early adulthood. Failed relationships, and terrible jobs feature prominently. Her piece on being the reluctant maid of honor for her not-so-close friend is particularly hilarious. Here you find the best friend, you're not quite sure you want. 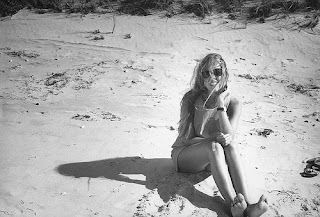 She's crass and selfish, sometimes mean, and will almost certainly get you into trouble. But she does it all with such wit and humor, it's difficult not to be charmed. 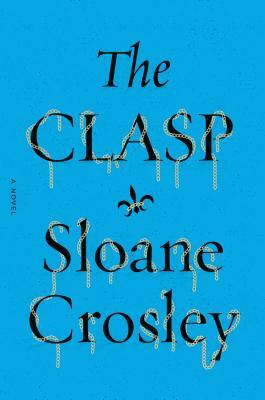 Sloane Crosley's new book The Clasp, her first novel, comes out October 6th. HA! Tricked you! This post was relevant! 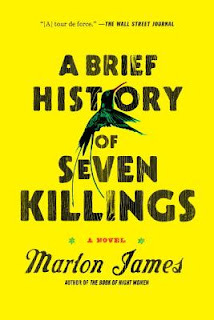 Marlon James’ A Brief History of Seven Killings (Riverhead) is a complex beast of a novel. It is angry, rough and bloody but also nimble, playful and kind. It is a little intimidating to approach, but once you are engaged with it, it is an incredibly rewarding experience. I was a little apprehensive about attempting this novel at first. I actually managed to successfully avoid reading it for almost a full year. 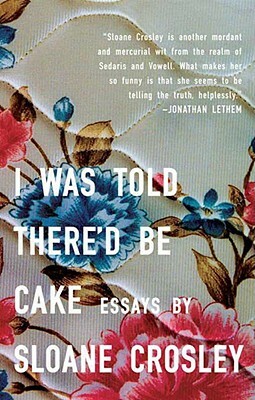 But it kept popping up wherever I looked : amazing reviews, a finalist for the National Book Critics Circle Award, more amazing reviews, a shortlist finalist for the Man Booker Prize and even an appearance on Late Night with Seth Meyers (if that guy could make time for this book, so could I). So I dove in, but decided to give myself some help along the way. What resulted was a fully immersive experience of this novel, an adventure everyone might not have the time or inclination for, but I highly recommend (I’m looking at you Man Booker Prize jury members). When you’ve decided you’re going to tackle a 700 page novel, you have to carve out time every day to get to it. It’s a bit of a task at first, especially after work, meetings, and helping coach your daughter’s soccer practice, but it soon becomes addictive. My first week I read about 200 pages of the book (I’m pretty sure there were already more than seven killings by then, but I wasn’t expecting anything simple or straightforward from this “brief” novel). 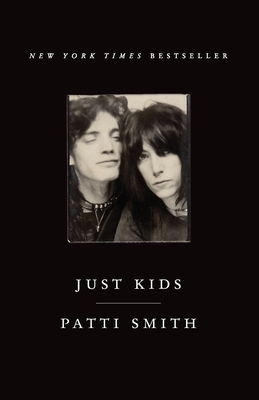 It was then that I remembered a friend of mine had mentioned that he had listened to the audio version of this book on a road trip earlier this year. I got the audio and started alternating between the two experiences of the book, listening to the audio on my morning walk to work and reading the book itself at night. I usually don’t listen to fiction as I don’t want an actor’s interpretation of the author’s voice to muddy my experience of that voice. 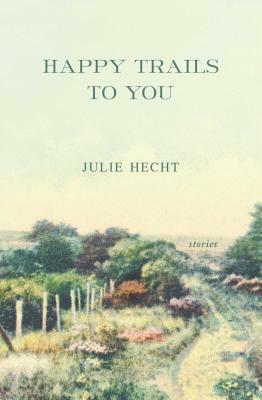 But this novel, told exclusively in first person voices, seemed extremely well suited to the audio-book experience. With an immensely talented eight person cast, this novel, especially the Jamaican characters, began living in my head in a way that sort of super-sized what was already a healthy meal of a book. I then discovered Marlon James’ Spotify playlist for the book. 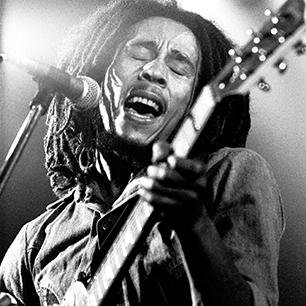 Soon making dinner at home was accompanied by Bob Marley’s Natty Dread (the 1976 assassination attempt on Marley is the central planet around which the voices in this novel orbit) and the sounds of Ina Kamoze and Damien Marley. But, as the novel moves its way into the eighties and into the US, we also were listening to Andy Gibb’s Shadow Dancing and Herbie Hancock’s Rockit (I don’t think I have heard Rockit since my brother and I were laying down cardboard in our garage and practicing how to do a windmill in 1983 – it was fun to hear it again, but around the third time it came on my wife began asking how much longer until I was done with the book). When you start listening to reggae in your kitchen, you start looking around for the conch and the jerk seasoning (at least I do). I clearly wasn’t going to find conch in Seattle, but I was willing to improvise. 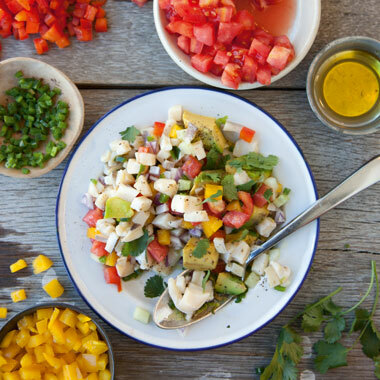 Digging through my cookbooks I came across a number of amazing recipes by Chef NormanVan Aken that clearly were going to satisfy the cravings that this book had conjured up in my belly. The family and I spend the next week enjoying Conch Fritters (cod for conch), Conch Salad (prawns for conch) and Jerk Pork Chops with Golden Pineapple Chutney. It was a perfect way to end my summer. I’m sure I won’t read a better novel this year and it will certainly be a long time before another novel consumes my life and inspires me to immerse myself its world the way Marlon James’ masterpiece did. I've heard this book compared to many others. Some have compared it to being like a Tarantino film, the works of Faulkner and Robert Bolano’s Savage Detectives. I kept thinking about Peter Matthiessen’s Shadow Country in that it also had multiple voices around a single violent incident, as well as the works of William Gaddis who also has kinetically charged monologues that propel his narratives along (I discovered afterwards an interview with Marlon James from a number of years ago where he mentioned reading Gaddis – probably during the time he was working on this novel). In the end however, A Brief History of Seven Killings is one of those unique books that really defies comparison. 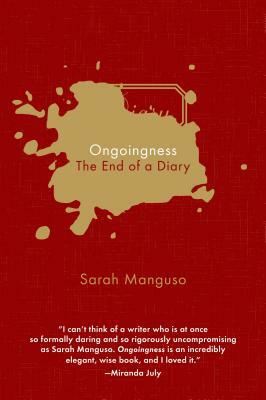 It is a book that will become an intimidating measuring stick against which to judge other bold, ambitious and gloriously reckless novels in years to come. You are unlikely to read a more important book about race this year. Coates' letter to his 15-year-old son is provocative, upsetting, inspiring, and, like any passionate argument, an emotional roller coaster ride. It is the beginning, not the end of a much needed conversation. We all bring a lifetime of experiences to whatever book we read. I read Between the World and Me, keeping in mind that I am the father of a black son. My wife is also black. Being a white father, I cannot pass on the experiences of being a black man in America. As a member of white society, I can walk blithely through life unaware of the biases and profiling that affects my own family. 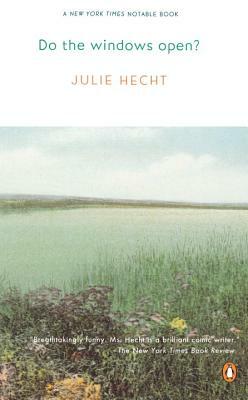 Between the World and Me is a memoir, written in the form of a letter to the writer’s fifteen-year-old son. 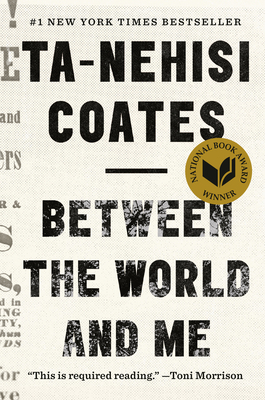 Ta-Nehisi Coates is a black father, and in this book he relates his own experiences of growing up black in America. Sometimes he is quite angry – rightfully so – and his narrative is always personal and emotionally powerful. He’s not just talking about slavery and the subjugation of the African-American people, but the fact that America’s success was built on the backs of these people. He uses direct quotes to dispute dangerous ideas, such as the Civil War not being fought over slavery. Coates covers institutional racism, and how most of us are deluded by this idea of whiteness, also known as “the American Dream”. There is a lot to digest in just over one-hundred and fifty pages, especially for those of us only familiar with the winner’s interpretation of history. Every once in a while, a book deserves the exalted status it’s being given, and Between the World and Me is one of those books. 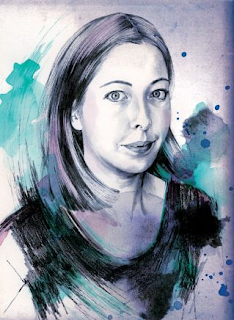 About a month ago another local author, DP Denman, reached out to me about a fundraiser that she was spearheading and as a young adult author and an independent bookseller, the subject was near and dear to my heart. She wanted help building a library and raising awareness for YouthCare, a non-profit organization that works with local homeless youth. YouthCare helps kids and teens with the basic needs we tend to take for granted (shelter, food, etc.). They also help prepare teens for the workforce, get their GEDs or get into college, and teach the skills necessary to live on their own. They are doing all they can to not only prepare these kids for adulthood, but to break the cycle of homelessness. Specifically, DP was asking for my help with raising money for YouthCare's lending library. Books are transformative. They provide shelter, escape and connection. Books teach us that we're not alone, that there are other ways of being--they open our minds and hearts. I told DP to sign me up! Since the fundraiser wasn't for another month, I asked her if YouthCare would be interested in some donated books. 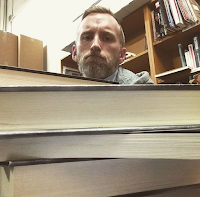 I reached out to other bookstores via Twitter and instantly heard back from Elliott Bay Book Company and University Bookstore--they wanted to help too. And I already knew Third Place Books would help--we, like many local bookshops, donate to schools and non-profits all the time. Once I gathered up all the donations I had five tote bags and four full boxes of books! I can't tell you how great it felt to drop them off at YouthCare. They said that they don't often get new/newer books and the teens would be so happy. We donated a lot of books, but keep in mind that they have several locations, and several lending libraries that they're building. DP and I are hoping we can fill their shelves with so many books that they'll need to build more! Check out DP's blogpost on the campaign here. Thanks again to Elliot Bay Book company, University Bookstore, and Third Place Books for their generous donations! Summer travel means summer travel reading. And a trip to New Orleans means a feast of literary options. I've been reading novels, manifestos, atlases, and histories. I'm learning about levees, and funeral parades, and beignets, and bayous, and faubourgs. I have immersed myself in so much New Orleans reading, that I feel like a local... or at least a reasonably well-oriented tourist. I try to read up on any new place I go, but New Orleans offers a richer experience than most. Its sense of place is so strong it's incapable of being confined to the page, and seems to conjure itself into being with a breath of heavy humid air, and a mournful brass note. Literary New Orleans is astounding not only in its variety but in its quality, innovation, and lyricism. 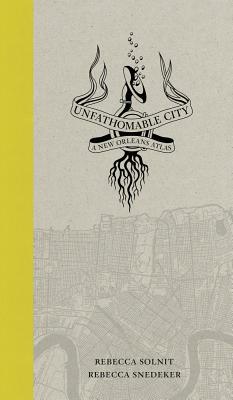 This book is a brilliant reinvention of the traditional atlas, one that provides a vivid, complex look at the multi-faceted nature of New Orleans, a city replete with contradictions. More than twenty essays assemble a chorus of vibrant voices, including geographers, scholars of sugar and bananas, the city's remarkable musicians, prison activists, environmentalists, Arab and Native voices, and local experts, as well as the coauthors compelling contributions. Featuring 22 full-color two-page-spread maps, Unfathomable City plumbs the depths of this major tourist destination, pivotal scene of American history and culture and, most recently, site of monumental disasters such as Hurricane Katrina and the BP oil spill. The innovative maps precision and specificity shift our notions of the Mississippi, the Caribbean, Mardi Gras, jazz, soils and trees, generational roots, and many other subjects, and expand our ideas of how any city is imagined and experienced. Together with the inspired texts, they show New Orleans as both an imperiled city by erosion, crime, corruption, and sea level rise and an ageless city that lives in music as a form of cultural resistance. Compact, lively, and completely original, Unfathomable City takes readers on a tour that will forever change the way they think about place. 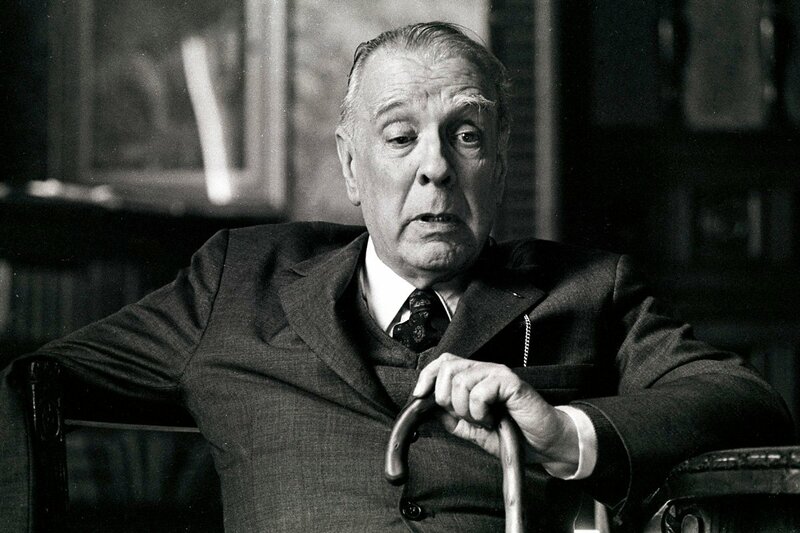 The Moviegoer is Binx Bolling, a young New Orleans stockbroker who surveys the world with the detached gaze of a Bourbon Street dandy even as he yearns for a spiritual redemption he cannot bring himself to believe in. On the eve of his thirtieth birthday, he occupies himself dallying with his secretaries and going to movies, which provide him with the "treasurable moments" absent from his real life. But one fateful Mardi Gras, Binx embarks on a hare-brained quest that outrages his family, endangers his fragile cousin Kate, and sends him reeling through the chaos of New Orleans' French Quarter. 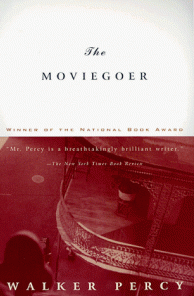 Wry and wrenching, rich in irony and romance, The Moviegoer is a genuine American classic. 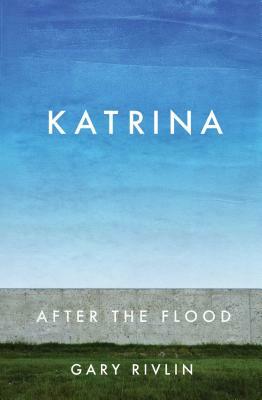 Ten years after Hurricane Katrina made landfall in southeast Louisiana--on August 29, 2005--journalist Gary Rivlin traces the storm's immediate damage, the city of New Orleans's efforts to rebuild itself, and the storm's lasting affects not just on the city's geography and infrastructure--but on the psychic, racial, and social fabric of one of this nation's great cities. Much of New Orleans still sat under water the first time Gary Rivlin glimpsed the city after Hurricane Katrina. Then a staff reporter for "The New York Times," he was heading into the city to survey the damage. The Interstate was eerily empty. Soldiers in uniform and armed with assault rifles stopped him. Water reached the eaves of houses for as far as the eye could see. Four out of every five houses--eighty percent of the city's housing stock--had been flooded. Around that same proportion of schools and businesses were wrecked. The weight of all that water on the streets cracked gas and water and sewer pipes all around town and the deluge had drowned almost every power substation and rendered unusable most of the city's water and sewer system. People living in flooded areas of the city could not be expected to pay their property taxes for the foreseeable future. Nor would all those boarded-up businesses--21,000 of the city's 22,000 businesses were still shuttered six months after the storm--be contributing their share of sales taxes and other fees to the city's coffers. Six weeks after the storm, the city laid off half its workforce--precisely when so many people were turning to its government for help. Meanwhile, cynics both in and out of the Beltway were questioning the use of taxpayer dollars to rebuild a city that sat mostly below sea level. How could the city possibly come back? 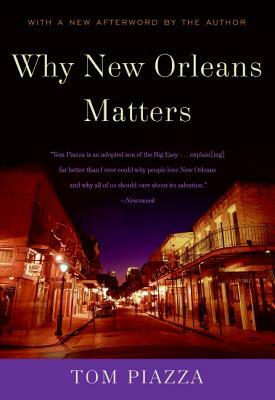 This book traces the stories of New Orleanians of all stripes--politicians and business owners, teachers and bus drivers, poor and wealthy, black and white--as they confront the aftermath of one of the great tragedies of our age and reconstruct, change, and in some cases abandon a city that's the soul of this nation. First published in 1899, this beautiful, brief novel so disturbed critics and the public that it was banished for decades afterward. 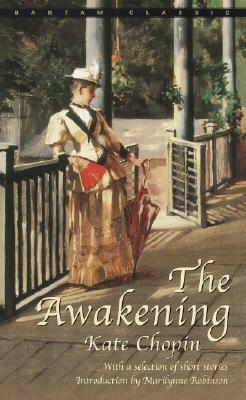 Now widely read and admired, The Awakening has been hailed as an early vision of woman's emancipation. This sensuous book tells of a woman's abandonment of her family, her seduction, and her awakening to desires and passions that threaten to consume her. Originally entitled "A Solitary Soul," this portrait of 28 year-old Edna Pontellier is a landmark in American fiction, rooted firmly in the romantic tradition of Herman Melville and Emily Dickinson. We may be booksellers by day, but that's not all we are. Some of us are writers, some of us knit. Several of us could be considered pretty serious cycling aficionados. Lots of bakers and chefs. We've a few musicians. One pretty militant cross fitter. And of course we have artists. Introducing Stephen's new series of imagined author histories. He's hoping it becomes a weekly occurance. We hope so too. Enjoy! The Man Booker long list, also known as the "Man Booker (Baker's) Dozen" was announced late last month. This is the second year that the prize has been open to writers of any nationality. 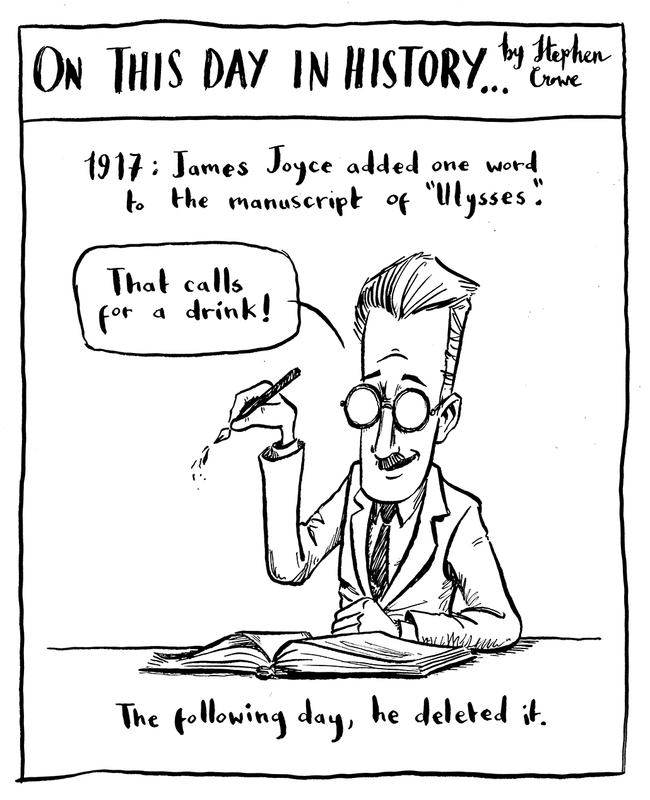 Nomineess must also be originally written in English, and published in the UK. The shortlist will be announced on September 15th with the award itself announced on October 13th. The Martian comes to movie theaters this fall. The trailer looks amazing! 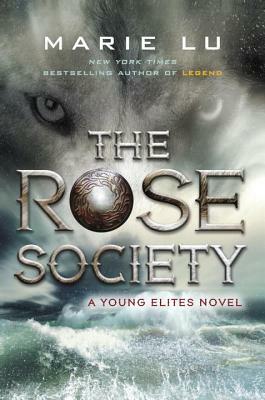 Several of us have read and loved the book and can't wait for the movie! 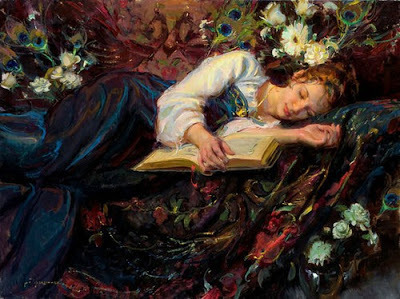 People who read actual, physical books fall asleep faster and sleep better than those who read e-readers. There's a super-long, fancy, academic study that proves it. Or you can read NPR's summary. What's your personality? Take this quiz! I love Flavorwire's lists. They are consistently interesting topics and always full of books you wouldn't normally consider belonging to whatever particular list it is. I found Dancer from the Dance (one of my all-time faves) by Andrew Holleran on their list of Best New York Novels. 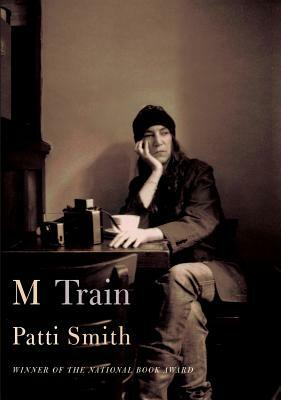 It's also in their 50 Essential Works of LGBT Fiction. I had been sampling pretty heavily from the LGBT list and that's how I came to read, Call Me By Your Name by Andre Aciman, currently my favorite book this year. Call Me By Your Name is also on the 50 Romantic Books list, which is how I ended up reading John Wyndham's The Chrysalids. And why I'm moving on to The Sea, The Sea by Iris Murdoch. 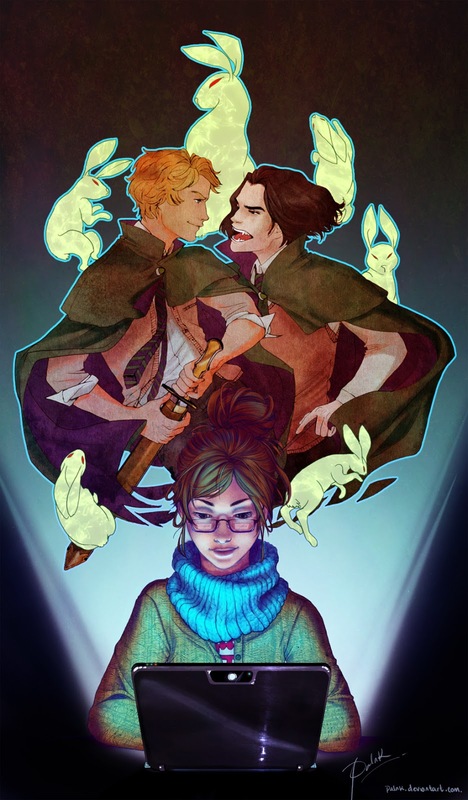 You must check out these lists, they will inevitably throw you down a rabbit hole of binge-reading. Not a bad rabbit hole to be in. And, a book and a cat. So we have this astronaut in the Commons. She's part of the Museum of Flight's Astronauts on the Town public art project. We've had lots of interest in our astronaut. Kids love her, grownups love her, we love her. And today, I met Kate Buike. 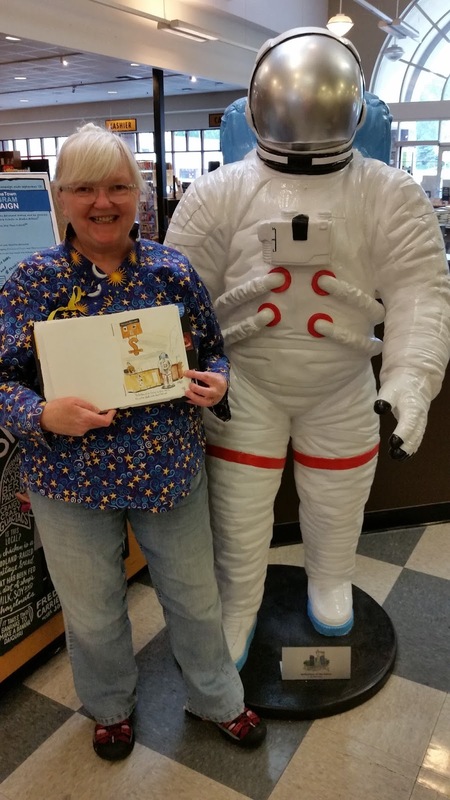 She loves the astronauts so much that she's going around town sketching all of them. 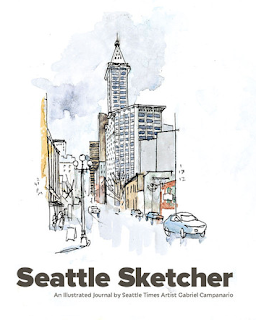 Kate is a volunteer at the Museum of Flight, and she's also part of Urban Sketchers, an international community of sketchers created by the Seattle Sketcher, Gabriel Campanario. Kate just happened to be up at the info desk, gathering her things, and her sketchbook was sitting on the counter opened to the sketch of our astronaut. She was kind enough to let me gawk at her artwork, and snap a picture. Here she is with her really lovely work and of course, the astronaut! Sorry, I didn't get a close up of the sketch, but you can check it out along with all the other astronauts here. 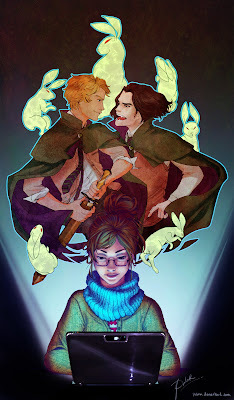 And learn more about Kate on her blog, Red Harp Arts. Thanks so much for making us a part of your project, Kate. Happy sketching!